Who is this 17-year-old Benfica powerhouse on Man City’s radar? The next big thing in European football? According to the Sun, Benfica starlet, Tiago Dantas has attracted attention from Premier League champions Manchester City. 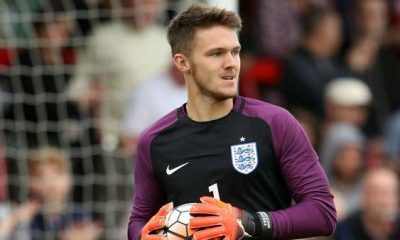 The 17-year-old is currently in the last year of his current contract and is set to become a free agent next summer. The same report claims that Manchester City’s officials have held talks with Benfica’s representatives over a possible move to the Etihad in January. Dantas has been in fine form for Benfica’s youth and reserve team, catching the eye of several top clubs across Europe with his fine performances in central midfield. As City eye a swop for Benfica’s highly-rated academy product, let us take a closer look at one of the rising talents in Portuguese football – Benfica’s Tiago Dantas. Born in Lisbon, Portugal, Dantas joined Benfica’s academy as a kid back in 2008 and quickly rose through the youth ranks with his prodigious talent. He has done exceptionally well at the U17 and U19 levels and won the best player award at the 2017 U17 FIFA Club World Cup. He was promoted to Benfica’s ‘B’ team this season and made his debut in August. Dantas currently stands at 5ft. 7 inches but one would expect him to gain a few more inches in the years to come. Primarily a central midfielder by trade, Dantas is known as a tactically-versatile midfielder in the youth ranks, being comfortable in central, defensive and attacking roles. His main attributes are his good range of passing and his tactical awareness. Dantas has shown the ability to dictate the tempo of the game from his deep position in the midfield with his excellent range of passing, both short and long, and is also good with his positional play in the midfield. To add to that, he is a technically-gifted player with a lot of stamina and tenacity. Dantas has shown the ability to cover a lot of ground and often records a large number of touches in midfield, allowing the game to revolve around him in the centre of the park. 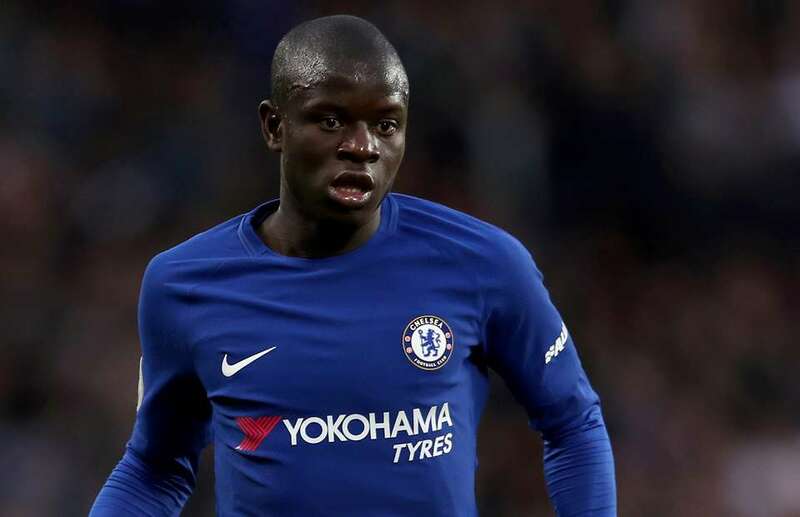 Blessed with the instincts and awareness of a central midfielder, he uses his stamina to track back and cuts out the opposition’s attacks with crucial tackles and interceptions. Furthermore, he is very good with his link-up play in midfield and contributes to the attack with his flawless passing. Dantas is also known for his vision which allows him to spot the runs of his teammates up front and the 17-year-old has a knack for picking out the right pass and at the right time to p[lay his teammates in behind the opposition’s backline. To cap it off, he is good with his shooting and has made a name for himself as a good distance-shooter at the youth level. Read More:- Who is this 17-year-old Swiss ace on being chased by Middlesbrough? The next big thing in the Championship? Dantas has already shown plenty of promise at the youth level, attracting interest from several top clubs including Manchester City. 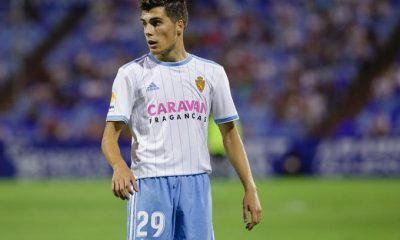 He has all the attributes to play in one of the top leagues of Europe in the future, provided he continues his development in the right direction. He has already shown a maturity that belies his tender years and he is only going to get better with time. 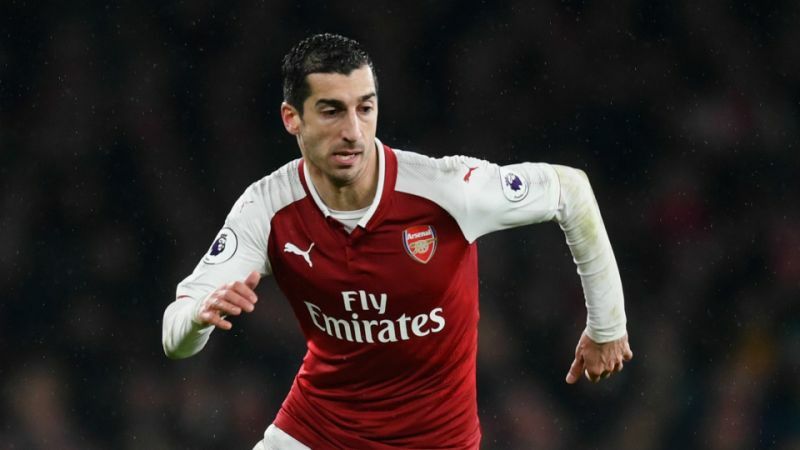 Man City signing this £32m dynamo from top-six rivals sounds absolutely bizarre for this reason – Agreed? 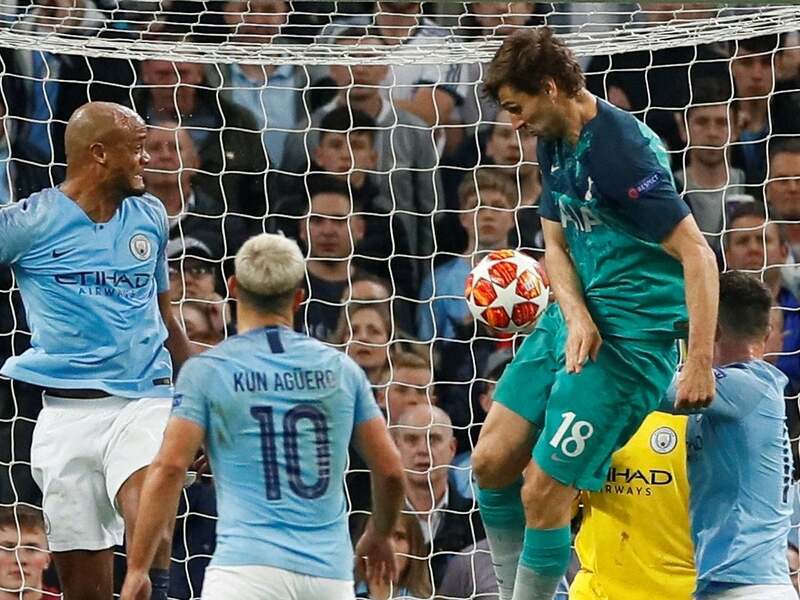 Man City were knocked out by English rivals Tottenham Hotspur in the quarterfinals of the UEFA Champions League on away goals rule, despite winning the second leg 4-3 at the Etihad on Wednesday night. Having lost the first leg 1-0 away from home, City were still pretty much the favourites to destroy Spurs at their home turf and progress to the semi-finals. Pep Guardiola’s side were expected to take the game by the scruff of the neck and they did exactly so in the opening stages of the game. In fact, a much-anticipated tactical battle between two high-profile managers turned into a rather open, free-flowing and direct game of football. The first 21 minutes of the game saw five goals shared between the two teams, with Raheem Sterling and Heung-min Son each scoring a brace. City led 3-2 at halftime after a dramatic and frantic first 45 minutes but the away goal rule was always going to be a huge factor in the tie. The tie swung in favour of City in the second half as Sergio Aguero put the home side 4-3 ahead on aggregate but there was plenty of drama left to unfold on an eventful night at the Etihad. 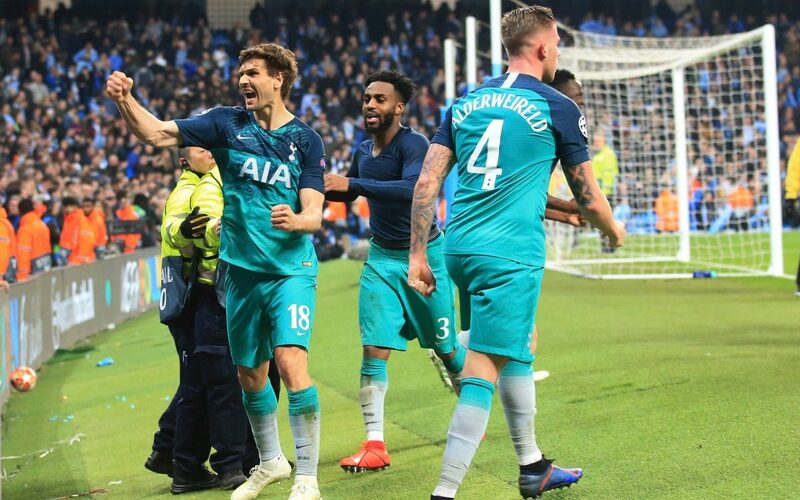 Fernando Llorente’s VAR-approved scrappy finish in the 73rd minute proved to be the decisive moment in the quarter-final clash, drawing Spurs level 4-4 on aggregate and giving them the cushion of a vital away goal. 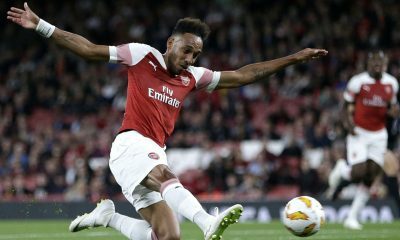 The home crowd erupted when Sterling found the net in the third minute of stoppage time but more drama followed when the goal was ruled out for offside following a VAR review. It was a night where the game changed hands multiple times over the course of the ninety minutes. It was indeed an enthralling contest, a fierce battle fought at the European stage between two great English teams looking to stamp their authority on one another. 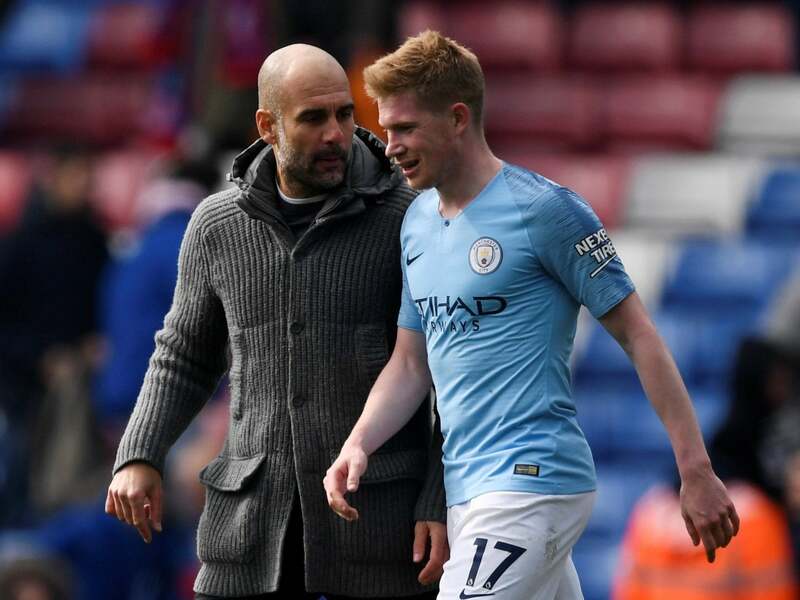 Whether or not Spurs deserved to go through to the last four at the cost of City’s quadruple hopes is certainly worthy of discussion but one player who certainly didn’t deserve to leave the pitch with a morose look was none other than Kevin de Bruyne. It would be fair to say that the Belgian was the most influential player in the match from both sides combined. Stats would show that he registered 3 assists but in all honesty, he was directly or indirectly involved in all of City’s four goals on the night. Guardiola shifted Bernardo Silva to the wide right position to play the Belgian on the right of a midfield trio and the former Chelsea man produced arguably his most impressive performance of the season, albeit in a losing cause. De Bruyne exchanged a quick one-two with Aguero and showcased his remarkable vision to find the run of Raheen Sterling down the left, who cut Trippier into half to draw City level on aggregate. That was just the beginning of a wonderful show from one of the most talented attacking midfielders of the current era. De Bruyne paved the way for Bernardo’s goal and City’s leveller, this time with his subtle movement off the ball to draw Danny Rose inside. The Belgian continued his dominance and fired in a driven cross from the right to lay the ball on a platter for Sterling to bag his second of the night, putting City 3-2 ahead on the night. He continued to impress in the second half and reminded the fans of his pace, power and remarkable dribbling skills, tearing Tottenham’s defence to pieces with a wonderful solo run and setting up Aguero for City’s fourth. 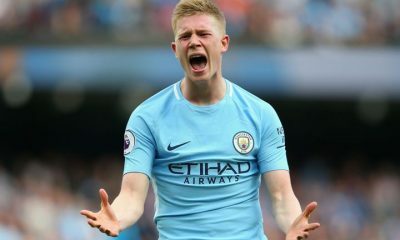 Influential in the attacking third with his creativity and vision, De Bruyne also showed plenty of energy to press the opposition off the ball and dropped back to help out his defenders. The Belgian completed a total of 38 passes at an accuracy percentage of 84.2, including 1 cross, 1 successful long ball and 1 through ball, while playing a total of 4 key passes over the course of the 90 minutes. Furthermore, De Bruyne registered a total of 3 shots, 3 dribbles, 2 tackles, while also drawing 3 fouls in a performance that spoke of pure class, hunger and determination. As much as Tottenham did well to cope with the absence of Harry Kane and put up a good fight, De Bruyne’s display in the midfield was also worthy of plenty of praises. It was indeed a pity that he could not see Man City through to the last 4. 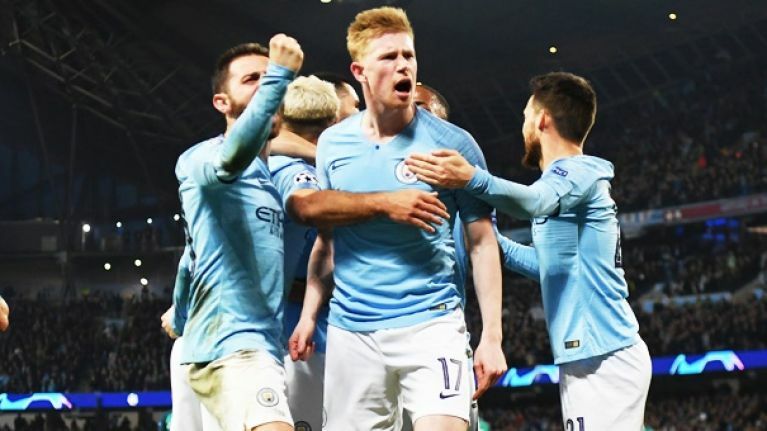 A 4-3 victory over Tottenham Hotspur at the Etihad on Wednesday night wasn’t enough for Man City to make it through to the semi-finals of the UEFA Champions League as the Lilywhites knocked out Pep Guardiola’s side on away goals rule. Man City were left with all to do in the second leg at home after Heung-min Son’s solitary strike in the first leg last week had given Spurs a slender advantage. The home side had a dream start to the night when Raheem Sterling cut inside from the left just 4 minutes into the game to slot the ball past Hugo Lloris, though that was only the start to a dramatic edge-of-the-seat ninety minutes at the Etihad. A tactical battle between two of the most revered masterminds in English football- Pep Guardiola and Mauricio Pochettino, was anticipated by many but tactics went completely haywire in what turned out to be a completely frantic and insane first half from both the teams. Son and Sterling scored two apiece within the first 21 minutes while Bernardo Silva also chipped in with a goal, as the stage at the Etihad was set on fire by some unbelievable free-flowing and direct attacking football in the opening stages of the game. Despite trailing 3-2 at the halfway mark, Spurs held a slight edge over Man City courtesy of the away goals rule. Although the second 45 minutes didn’t really live up to the hype of the first half, it was during this period that the pendulum swung twice. First, in the favour of Man City when Sergio Aguero put the Citizens ahead on aggregate for the first time over the course of the two legs and then decisively in favour of Spurs when Fernando Llorente’s goal was deemed valid following a VAR review. More drama unfolded when Raheem Sterling found the net in the third minute of injury time, much to the ecstasy of the home faithful, but it soon turned to agony once again as the goal was ruled out for offside following a VAR review. Spurs held on to their slender advantage and managed to overcome a star-studded Man City eleven, more importantly without the services of Harry Kane. 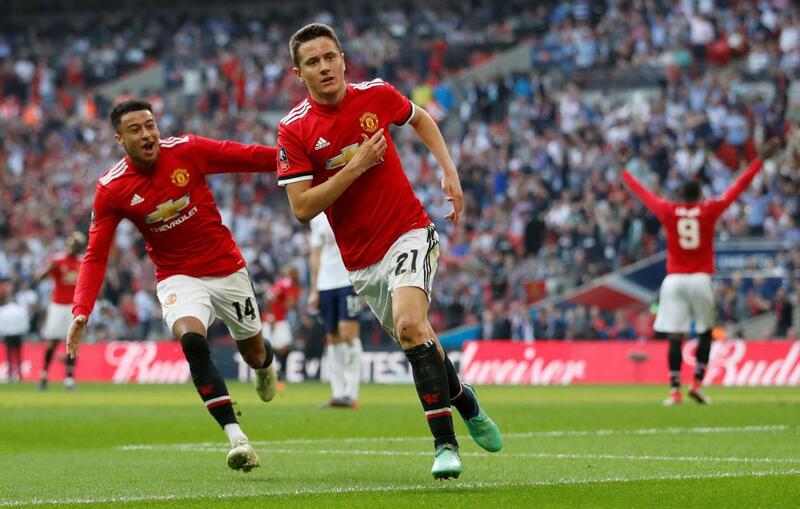 Although it was largely an open game, let us take a look at the few key talking points and subtle tactical tweaks from the dramatic second leg at the Etihad. There fateful night at Etihad once again lies testimony to Raheem Sterling’s development into a world-class attacker as the former Liverpool man took the game by the scruff of the neck in the opening stages and scored two wonderful goals. The first one was a typical winger’s goal as he cut Trippier into half and beat Lloris with a perfect finish after being played into space by Kevin de Bruyne. Secondly, he showed a tremendous bit of awareness and anticipation at the far post to tap in de Bruyne’s driven cross across the six-yard box, Trippier being the guilty party for Spurs once again. Sterling looked at the top of his game and worked very well in tandems with Benjamin Mendy, as the winger often drifted inwards to link up with his teammates and allowed the full-back to make overlapping runs. With all due credit to Sterling and Mendy, Pochettino has every reason to be livid with Kieran Trippier as the English international looked a bit off the pace in a high-octane clash, not for the first time in the season. Aymeric Laporte has been a standout performer for Pep Guardiola’s side at the back all season and the Frenchman’s level of consistency has earned him a place amongst the elite defenders in the Premier League. However, it all went wrong for the former Bilbao man when City needed him the most. Vincent Kompany pressed just a little too high and Laporte chose to be too clever in dealing with the attack that led to Son’s first goal. The Frenchman could have simply cleared his lines but he brought about his own demise by some poor decision-making. That was just the starting of a horrible 90 minutes for the Frenchman and it was his poor touch inside his own half that allowed Lucas Moura and Eriksen to set up Son’s second goal. It might be a bit over-critical to blame Laporte for Llorente’s goal in the second half but he was totally brushed aside by the Spaniard’s towering frame inside the penalty area, something that is not expected from a defender of his class. The Belgian registered 3 assists on the night, though it would be fair to say that he had a big hand in all of City’s four goals. He picked out a wonderful pass to set up Sterling’s opener, dragged Danny Rose inside with his movement off the ball to open up the space for City’s second, whipped in a driven cross to assist Sterling for City’s third and ripped apart the Tottenham defence apart with his pace, power and dribbling to lay the decisive pass for Aguero in the second half. De Bruyne was by far the most influential player from both sides on the night and it was a pity to see him end up on the losing side. 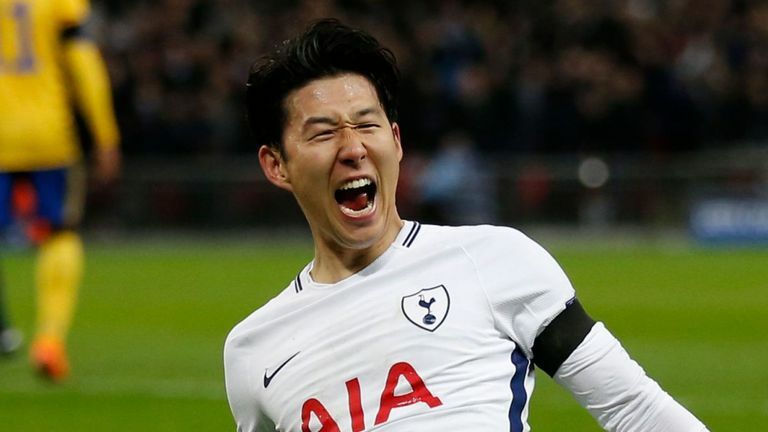 Son needed to step up in Harry Kane’s absence and he did so to the best of his abilities. 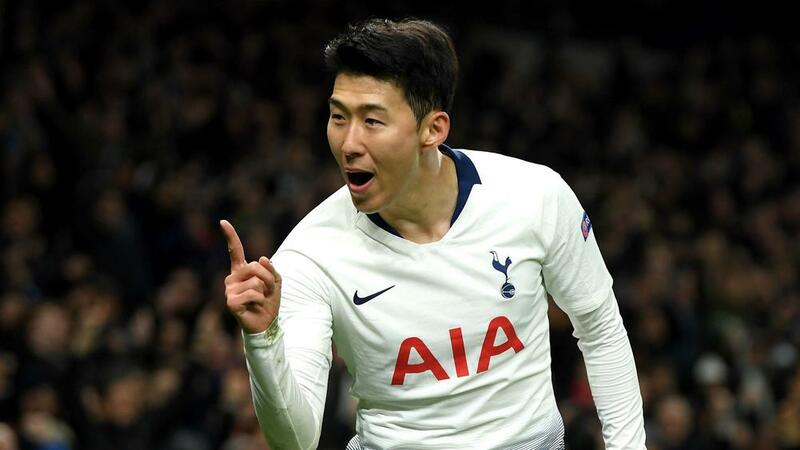 The Korean scored 3 vital goals for Spurs over the course of the two legs and was instrumental in the team’s progress to the last 4. However, the decisive moment in the tie came from a rather unexpected source, with Fernando Llorente scoring the third goal in the second leg. Llorente had scored in the Round of 16 against Dortmund and the veteran, though not at his prime any longer, has shown that he is more than capable of playing as an understudy to Kane. Spurs were handicapped on the night by the ankle injury to their talismanic striker Harry Kane and things went from bad to worse for the Lilywhites when Moussa Sissoko was forced off towards the end of the first half. Pochettino started with Wanyama and Sissoko at the base of the midfield but 18-year-old Oliver Skipp was the lone alternative available on the bench. Sissoko has established himself as an integral component of Spurs’ midfield and the Frenchman’s withdrawal saw the introduction of Llorente and prompted a subsequent change in system from the manager. Indeed, it would have been too risky to expose Skipp in such a crunch encounter and Llorente’s arrival saw Spurs switch to a 4-4-1-1 formation from the original 4-2-3-1. This reduced the intensity of Tottenham’s pressing in the midfield and allowed the Man City attackers more freedom to wreak havoc. Wanyama looked visibly rusty due to lack of regular minutes this season, while Dele Alli and Eriksen also dropped deeper to cover for Sissoko’s absence. What a bonus it would have been for Spurs to have someone like Mousa Dembele on the bench! Spurs’ lack of squad depth was so ridiculous on a dramatic night at the Etihad. 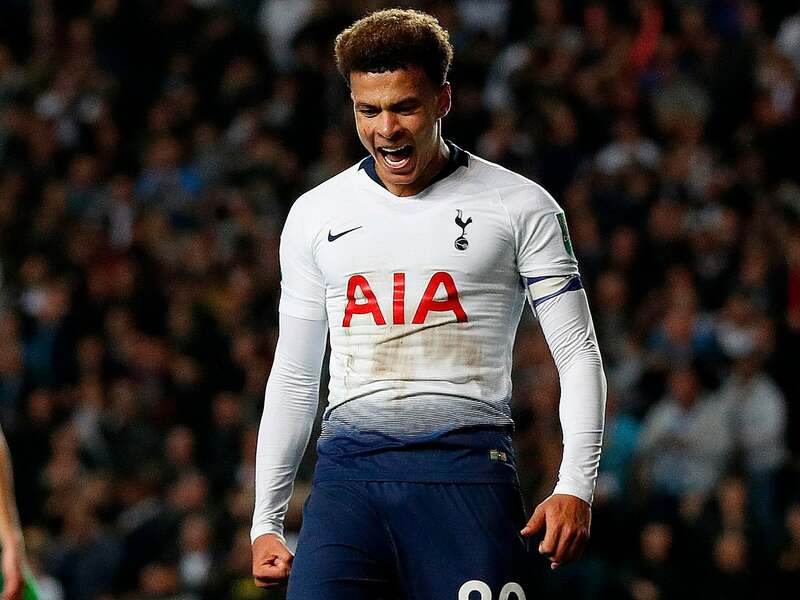 Tottenham Hotspur prevailed as eventual winners against Manchester City in their Champions League quarterfinal encounter as their 1-0 home advantage gave them the edge in this tie. Despite losing the 4-3 on the night and 4-4 on aggregate, the fact that they scored 3 away goals meant their qualification was secured. A feisty game right from the opening minutes, viewers of this amazing tie we’re blessed with the sight of 5 goals in the opening 21 minutes as the teams went into half-time with the score-line at 3-2. In the last minute of stoppage time, Raheem Sterling was denied an equaliser by VAR as Tottenham Hotspur set their semifinal date against Dutch side Ajax. Made an excellent save off a Kevin De Bruyne shot but was completely helpless in all of City’s goals. Wasn’t at his usual defensive best at Raheem Sterling seemed to be running rings around him in the first half. Almost seemed to dodge Sterling’s shot and didn’t look overly composed until the final minutes of the game. The Belgian veteran did look a bit more secure than his centre-half pairing and showed composure towards the end. Didn’t have a very pleasant afternoon with Bernardo Silva constantly putting him in pressuring situations. The Frenchman showed excellent work-rate in the middle of the park but had to come off injured. Was put on the pitch to try and break the rhythm of the City attacks but was completely overrun by the midfield. Didn’t have time to show his usual attacking abilities as he was stuck defending for most of the match. Showed amazing skill and precision to slip Son in for his goal but he didn’t have his regular impact in a forward sense. His pace seemed to bewilder the City defence in the opening stages as he ripped through them more than once. Took his chances with great aplomb and was crucial in putting Manchester City to the sword on the night. Came on in place of Sissoko and managed to get the goal that sent Spurs onto the next round. Came on in the final stages as Tottenham tried to shut up shop and see out the victory. A stoppage time ploy to waste precious seconds, Sanchez was yet another defender thrown onto the pitch. WHO NEEDS KANE WHEN YOUVE GOT SONALDO!